A writer puts a little bit of themselves into every character they create. Maybe we are not as adventurous, devout, or charismatic as our beloved characters, but we wish we were, and somewhere deep inside us the potential is there. Same goes for the darker sides of our characters. Both the best and worst of us gets poured into our characters. I find it to be a satisfying release of emotions to transfer my deepest feelings into the ladies on the page. 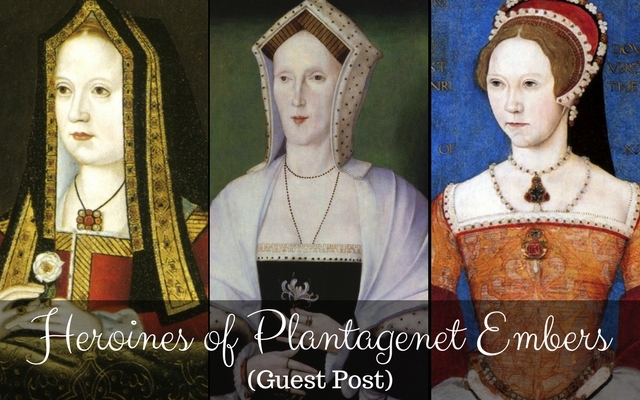 The heroines of Plantagenet Embers are each as unique in my books as the historical figures they are based on were in real life, but I have reasons to love each of them. People are so multidimensional that it is easy to connect with some aspect of a person’s personality, if we are only willing to try. Historical figures cannot be divided into heroes and villains. Complex people who lived varied lives, loved, and fought for what they thought was right existed on all sides of any historical controversy or war. It is those deep emotions and intricate personalities that I strive to explore in my novels. 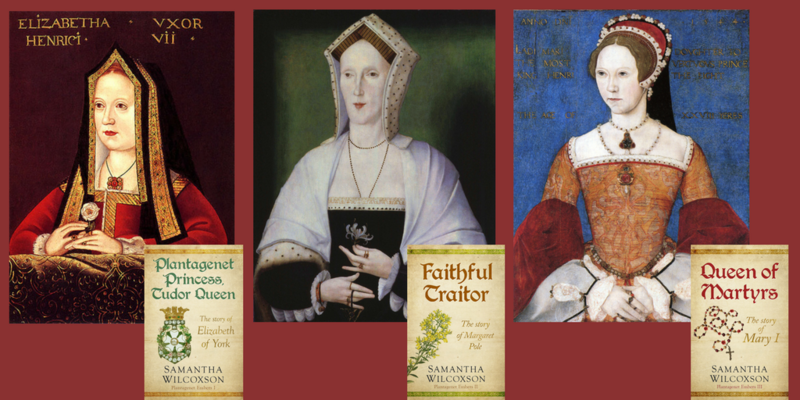 When I decided to write about Elizabeth of York, I did not intend on creating a trilogy. At the time, I was simply drawn to the Plantagenet princess who, through her unique blend of quiet strength, selflessness, and piety, became the first Tudor queen. I connected with Elizabeth through her love of her children and country and her willingness to sacrifice her own desires for the good of others. She was a center of peace in turbulent times. I wished I could be as devout and loyal as Elizabeth was, but I feel like writing about her helped make me a better person. During the course of writing about Elizabeth, her cousin, Margaret Pole, captured my attention in a way she had not before. I knew the story of the little girl whose father had been executed by his brother, but I had never carefully thought of the roller coaster ride of emotions that Margaret’s life must have been. I am drawn to an emotive tale and could not resist Margaret’s. She did not share Elizabeth’s position or submissiveness. Losing her husband at a relatively young age, Margaret became the matriarch of her family and struggled to balance loyalty to the new Tudor regime with ensuring her children’s positions in life. Margaret is independent in a way that I am not, but she strived to do God’s will and protect her children no matter what the cost. Her life was defined by high points that most of us will never reach and low points that I hope never to experience. Writing about her created waves of emotions within me that I hope I effectively shared with my readers. However, nothing could compare with the storm of emotions that I went through when writing about Queen Mary I. I understand that some readers will never be able to think of her as anything other than Bloody Mary, but I was surprised to find that I felt the strongest connection to Mary. Into Mary’s tragic life I could pour every disappointment and hurt I had ever experienced. When she expressed to Reginald Pole that she has never felt she was first in anyone’s life, I had tears streaming down my face. I longed for her to receive the love and affection that I knew was not coming. My heart hurt for her in a way it never had for Elizabeth or Margaret. Maybe it was that Mary never even had children to love, while Elizabeth and Margaret at least had their families to take comfort in regardless of what else came into their lives. There are several passages of Mary’s story that I cannot read without crying. She just captivated my heart. I admire her faith, even if that faith led to terrible things being done in her name, but most of all she moved me to sympathy in a way few other people or fictional characters ever have. As you have probably discerned, I do not always look closely at the big historical events occurring during my heroines lives unless they were physically present when they happened. My goal is to expose the personal side of the story and put my reader through the same ups and downs that these women experienced. I want readers’ heart to flutter when Elizabeth first realizes she can love Henry Tudor. I want them to feel the air crushed out of their lungs when Margaret’s oldest son is executed, and I want them to feel their heart squeezed at Mary’s defeat and desperation when she realizes she is not pregnant. History is about so much more than dates and battles, and these women have amazing stories to share. It is sometimes difficult to remember that the historical figures we admire and discuss with such passion were living, breathing people rather than storybook characters. If I can make these ladies who died long ago feel alive to my readers, I consider my job well done. Samantha Wilcoxson is the author of the Plantagenet Embers Trilogy. An incurable bibliophile and sufferer of wanderlust, she lives in Michigan with her husband and three teenagers. She lives in Michigan with her husband and three children. You can connect with Samantha at SamanthaWilcoxson.BlogSpot.com or on Twitter @Carpe_Librum.